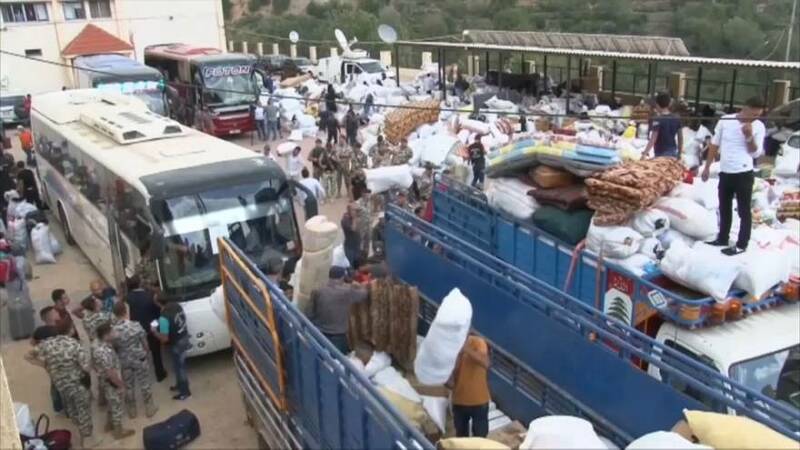 Around 900 Syrian refugees who had been in Lebanon have returned to their homeland over the weekend. This is the fourth round of people to return to Syria in a one-month period. More than one million Syrian refugees are registered with the United Nations High Commissioner for Refugees (UNHCR) in Lebanon. But it's estimated the true figure is more like 1.5 million. Muhammad Deeb, is a returning refugee and he says, "We fled to Lebanon because of terrorism, but my life has been full of indignity and misery since I left Zabadani in 2011. I'm very thankful that Syria is again as safe as ever, so we can go back to our homeland." Russia has helped out by providing a strategy for the Lebanese authorities, which aims to secure the return of 890,000 refugees to Syria. But it's unsure what sort of future they're returning back to.